This is my weight loss program, and I use it most of the time. I stop using it when my waistband gets slack and start again when it gets tight. OK, I know that isn’t scientific, but it works great for me and it may do the same for you. When you add the exercises, it becomes a fitness program, too. 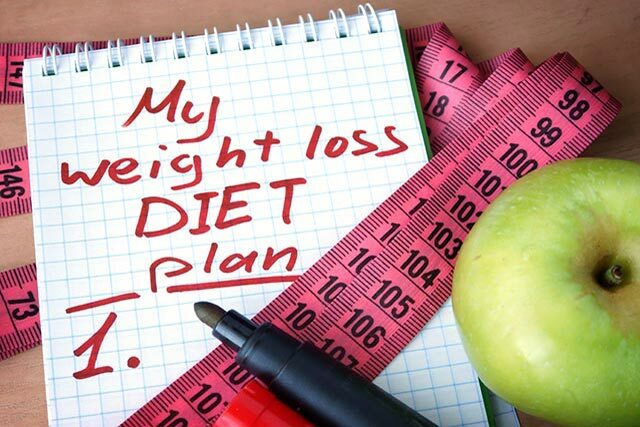 Before you attempt to enter any weight loss or fitness program it is very important to see your doctor and explain the program you wish to try. She will tell you if you are suited to the program and if there are any parts you should amend or leave out to suit your physical condition. Attempting to change your lifestyle without taking medical advice can be very risky. Before starting into my weight loss program I think you should understand my mindset. I have always believed that I am responsible for everything that happens in my life and being overweight from time to time is entirely due to my love of good food and lack of exercise, so naturally my weight loss program focuses on both diet and exercise. But here’s the good news. I never give up any food and never exercise for more than ten minutes three times each week. this is a real lazy man’s fitness program. If this sounds good to you then you’ve come to the right page. Before I give you the free weight loss program I ask you to make a few changes to your daily routine to ensure that you get the best from the fitness program. 1. If you work during daylight hours, try to have your main meal at lunchtime. This gives you 4 or 5 extra hours to work off the calories while still at work. 2. Examine how many times each day you drive to the shops, school, friends etc. and determine which trips can be walked. Remember walking? It’s where you use those things that link your hips to your feet. Replace the car with one trip each day by foot and you’ll soon feel a difference in your fitness. I know you have a busy lifestyle, but if you are physically fit you will live longer and enjoy your lifestyle even more. 3. Do you remember stairs? We had them in the old days before elevators and escalators started helping us to become overweight. If you work in an office building with stairs and an elevator, use the stairs. Take the stairs all the way up or take the elevator to a closer floor then walk up the stairs the rest of the way. Challenge yourself to walk more stairs each week. You have two opportunities to walk the stairs each day, up then down. 4. After your evening meal, take a short walk. If you had a big evening meal, take a longer walk. You may even meet new friends who are trying to do the same thing as you and your social life will start to improve, too. Is that too difficult to do to start claiming back your body and fitness? Please use my weight loss program if you think it can benefit you. There are not many about that come free. I know that I said that I don’t give up any food in my weight loss program, but I didn’t say that I don’t diet. What I do is give up one thing each day and one thing only. You are free to choose what you give up because your normal diet is different than mine. The secret is to leave a space on your plate where that single item would normally be. The food item that you give up must be given up for the entire day – not just for one meal. 1. On Monday I eat no bread. 2. On Tuesday no meat. 3. On Wednesday no pastry or cake. 4. On Thursday no eggs. Also when I’m on my weight loss program, I drink no carbonated waters, like Coke, Seven Up, Pepsi, etc. In fact I omit every drink that fizzes and I also eat no fast foods except those that I make and am aware of the true content. The biggest “no-no” is drinking beer when you eat. Beer will stop the body from breaking down the fat content in food and is the worst possible drink for any fitness program. The proverbial “beer-gut” isn’t created only by the beer that you drink. It is also created by the food that you eat while drinking beer. Fresh fruit and vegetables are terrific for diet purposes and if you are peckish between meals this is the way to go, providing that you eat in moderation. Don’t try to cheat your weight loss program or fitness program because you are the only loser if you do.